"Temple Block" redirects here. For percussion instrument, see Temple block. For the UTA station, see Temple Square (UTA station). Temple Square and the surrounding area in 2013. In 1847, when Mormon pioneers arrived in the Salt Lake Valley, LDS Church president Brigham Young selected a plot of the desert ground and proclaimed, "Here we will build a temple to our God." When the city was surveyed, the block enclosing that location was designated for the temple, and became known as Temple Square. Temple Square is surrounded by a 15-foot wall that was built shortly after the block was so designated. The square also became the headquarters of the LDS Church. 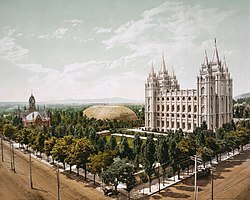 Other buildings were built on the plot, including a tabernacle (prior to the one occupying Temple Square today) and Endowment House, both of which were later torn down. The Salt Lake Tabernacle, home of The Tabernacle Choir at Temple Square, was built in 1867 to accommodate the church's general conferences, with a seating capacity of 8,000. Another church building, the Salt Lake Assembly Hall, was later built with a seating capacity of 2,000. As the church has grown, its headquarters have expanded into the surrounding area. In 1917, an administration building was built on the block east of the temple and in 1972, the twenty-eight story LDS Church Office Building, which was, for many years, the tallest building in the state of Utah. The Hotel Utah, another building on this block, was remodeled in 1995 as additional office space and a large film theater and renamed the Joseph Smith Memorial Building. 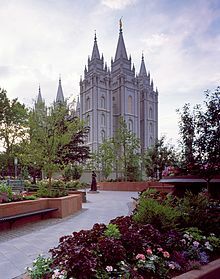 In 2000, the church purchased the section of Main Street between this block and Temple Square and connected the two blocks with a plaza called the Main Street Plaza. In 2000, the church completed a new, 21,000 seat Conference Center on the block north of Temple Square. The Family History Library and the Church History Museum are located on the block west of Temple Square. The multiple gates to Temple Square are popular places for critics of the LDS Church—mainly former members and activist evangelical ministers—to picket and hand out tracts and literature critical of the church. They are also well-known locations for street musicians to perform, especially during the holiday season. Temple Square serves as the center point for all street addresses in Salt Lake City. The streets in Salt Lake follow a grid pattern which deviate out from the southeast corner of Temple Square. The Salt Lake Temple is the largest and best-known of the 162 operating LDS temples. It is the sixth temple built by the church overall, and the fourth operating temple built following the Mormon exodus from Nauvoo, Illinois. Today, Temple Square features two visitors' centers, called the North Visitors' Center and the South Visitors' Center. The North Visitors' Center was built first and features a replica of the Christus, a statue of Jesus Christ by Danish sculptor Bertel Thorvaldsen. The Christus is located in a domed room with large windows, painted with clouds, stars, planets, and other heavenly bodies. The visitors' centers and grounds are staffed by full-time sister missionaries  and senior missionary couples exclusively; no single male missionaries are called to serve on Temple Square. The sister missionaries serving on Temple Square are from around the world, speaking enough languages to cater to the majority of visitors. Beginning with the 2002 Winter Olympic Games in Salt Lake City, the sister missionaries have been wearing tags with the national flags of their home country along with their missionary name tags. There are three large assembly buildings housed on Temple Square. The smallest of the three is the Salt Lake Assembly Hall, which seats approximately 2,000 and is located on the southwest corner of Temple Square. The Assembly Hall is a Victorian Gothic congregation hall, with a cruciform layout of the interior that is complemented by Stars of David circumscribed high above each entrance, which symbolize the gathering of the Twelve Tribes of Israel. Construction of the hall began on August 11, 1877, and was completed in 1882. 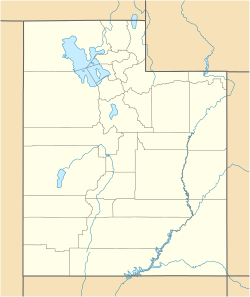 It is located just south of the Salt Lake Tabernacle and across from the South Visitor Center near the South Gate. Upon entering Temple Square from the south, the Assembly Hall can be seen to the left (west). The Assembly Hall hosts occasional free weekend music concerts and is filled as overflow for the church's twice-a-year general conferences. The second structure is the Salt Lake Tabernacle, home of the Mormon Tabernacle Choir and Orchestra at Temple Square. The Tabernacle was built between 1864 and 1867 with an overall seating capacity of 8,000, including the choir area and gallery. In March 2007, the Tabernacle was rededicated after extensive renovations and restorations were completed. Spacing between the pews was substantially increased, resulting in a reduced overall seating capacity. The Tabernacle was rededicated at the Saturday afternoon session of the church's 177th Annual General Conference. In addition to housing the choir, the Tabernacle is also used for other religious and cultural events. Located on the block west of Temple Square, the Family History Library is the largest genealogical library in the world and is open to the general public at no charge. The library holds genealogical records for over 110 countries, territories, and possessions. Its collections include over 2.4 million rolls of microfilmed genealogical records; 742,000 microfiche; 310,000 books, serials, and other formats; 4,500 periodicals; and 700 electronic resources. Located on the block west of Temple Square adjacent to the Family History Library, the Church History Museum houses collections of Latter-day Saint art and artifacts. The Museum houses permanent exhibits as well as playing host to temporary exhibits throughout the year. Past exhibits have included displays and themes from individuals such as artist Arnold Friberg, sculptures and work by Boyd K. Packer, as well as themed historical displays depicting church events. Located on the block northeast of Temple Square and east of the LDS Conference Center is the Church History Library, where the historical records of the LDS Church are located. The Library is free to patrons, who can come use a large collection of books, manuscripts, and photographs. Senior missionaries provide tours of the public areas of the Library. Patrons can also view a video explaining the mission and purpose of the Library. ^ "Temple Square". National Historic Landmark summary listing. National Park Service. Archived from the original on 2007-10-18. Retrieved 2008-07-12. ^ "NHL nomination for Temple Square". National Park Service. Retrieved 2018-03-16. ^ Quoted in Gordon B. Hinckley, [ http://www.lds.org/ensign/1993/03/the-salt-lake-temple "The Salt Lake Temple", Ensign, March 1993, p. 2. ^ Graham, Jim (2006-05-21). 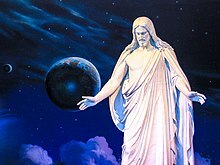 "Temple Square still top tourist attraction in Utah". Daily Herald. Retrieved 2006-12-14. ^ Michael De Groote, "Decades of downtown S.L. music and lights", Deseret News, December 12, 2010. ^ There are 163 dedicated temples (152 currently open; and 11 previously dedicated, but closed for renovation), 11 under construction, and 35 announced (not yet under construction). ^ Law, Kristina (2006). "Sister Missionaries". Archived from the original on 2007-04-29. Retrieved 2006-12-14. ^ "Plans Unveiled for Salt Lake Temple Renovation". www.mormonnewsroom.org. 2019-04-19. Retrieved 2019-04-21. ^ AAG International Research. "AAG International Research". AAG International Research. Retrieved 2009-10-31.